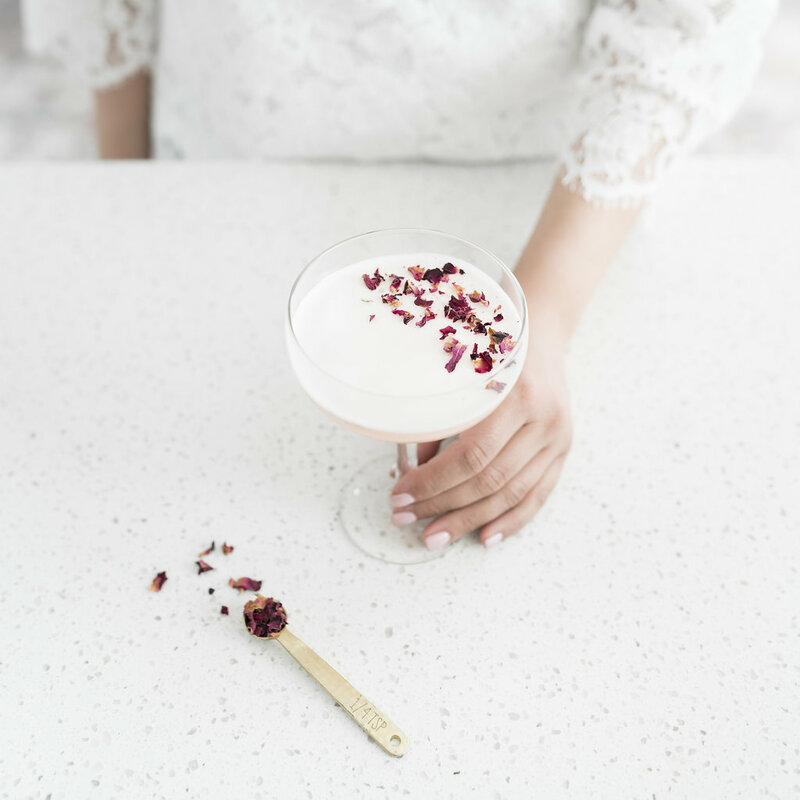 Long weekends are synonymous with cocktails around here, so with the Easter long weekend just days away you know I have a cocktail to help you celebrate and enjoy the extra time off with family and friends. Since Easter celebrations often include brunch, you wouldn’t be wrong to expect a mimosa-esque cocktail, I do love mimosas made with Prosecco. But I thought I would shake things up and instead celebrate with the prettiest Raspberry Rose and Gin Cocktail. 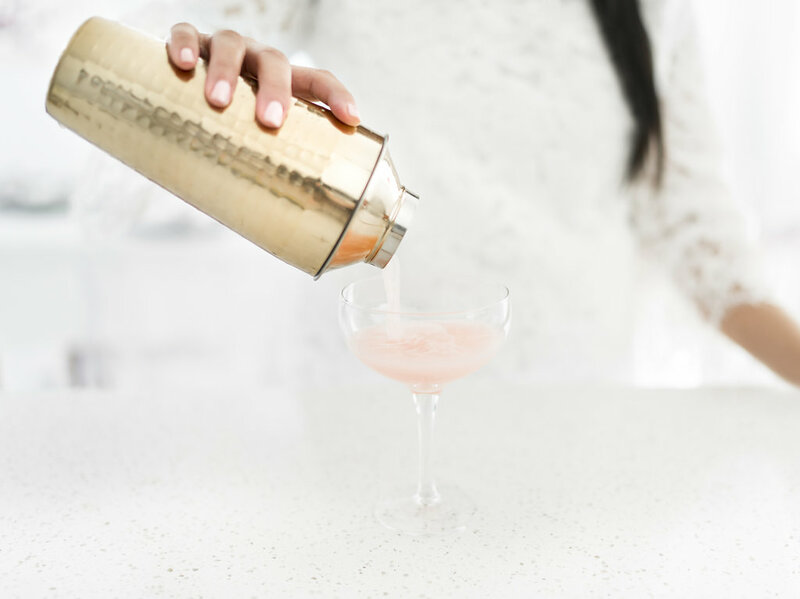 Simple ingredients and just a few steps, this cocktail has the potential to quickly become your go to when entertaining and brunching! A play on the traditional Clover Club, which despite it’s pink colour is from the 1880s with roots in a Philadelphia gentleman’s club. To make it my own, I added a splash of rose water, which gives it a floral and more importantly feminine touch. You may notice that the recipe also calls for a raw egg white, which I have to admit scared me at first. But after a few rounds of testing, I can honestly say you have nothing to fear. 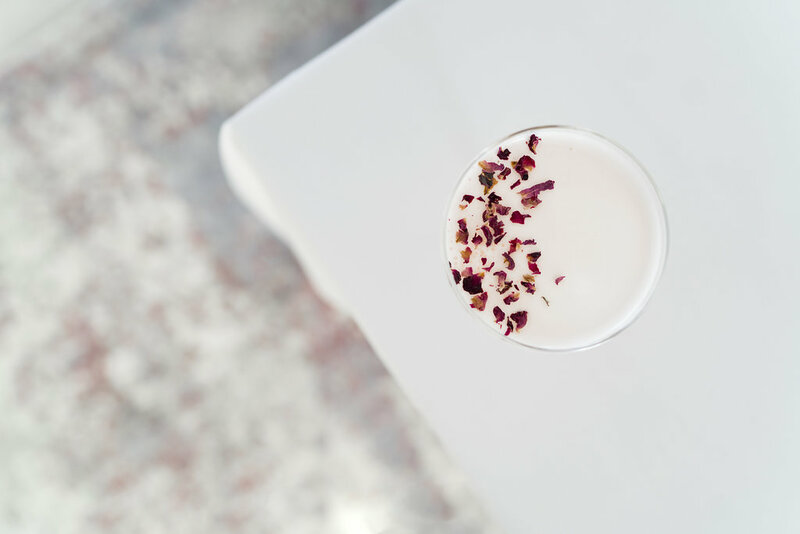 The egg white gives the cocktail a velvety creaminess and the prettiest white foam head, perfect for a sprinkling of dried rose petals. To ensure the smoothest of finishes, be sure to dry shake the ingredients first to allow the egg white to incorporate fully before adding ice. Then once chilled, strain through a fine mesh strainer to make sure no shards of ice make it into the glass and dissolve the foam. 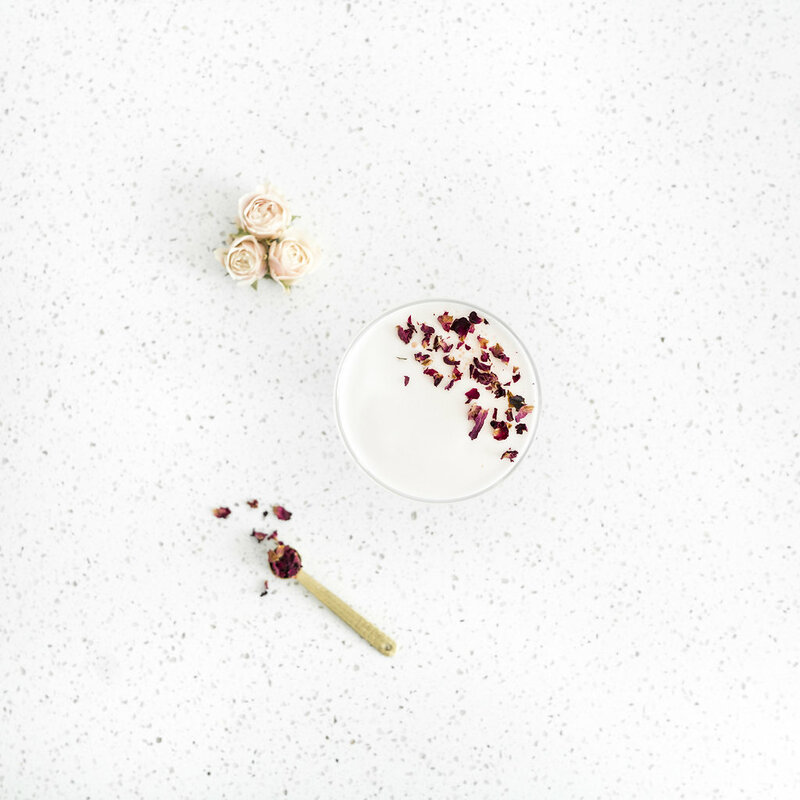 The dried rose petals not only add the prettiest visual touch, but the most beautiful floral aroma. Whether you’re still clearing snow like we’re likely to be for Easter or actually experiencing spring, you’ll think your among a field of roses sipping on this beauty! 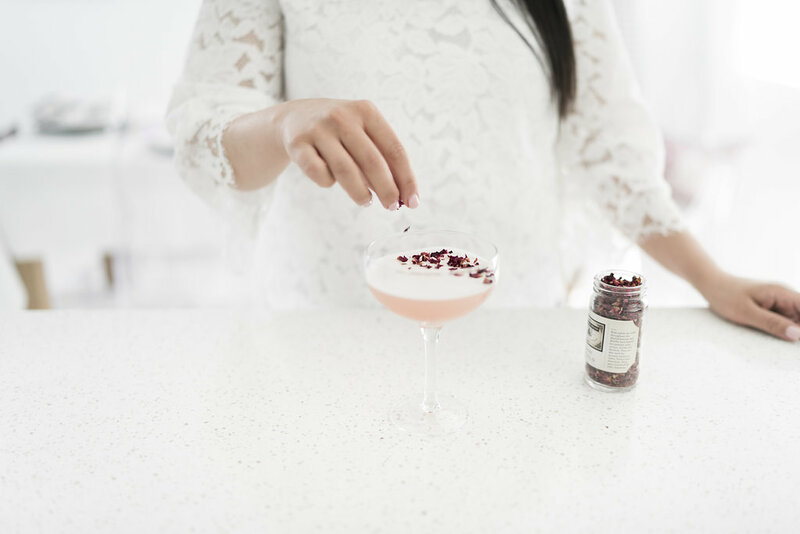 Raspberries, herbaceous gin and floral notes from rose water create what I believe is the perfect Spring and Easter cocktail. Cheers! Place the raspberries in a medium saucepan. Cover with water and bring to a boil. Reduce to a medium simmer and let the raspberries cook for 20 minutes. After 20 minutes the raspberries will have lost most of their colour and broken down. Strain the raspberries and liquid through a fine mesh strainer into a second pot, separating the solids from the liquid. Once strained, discard the solid berries and return the liquid to stove. Add sugar and bring back to a boil. Simmer for 5-10 minutes until the sugar has dissolved and the desired consistency for the syrup is achieved (thicker for pancakes, thinner for cocktails). Remove from the heat and allow to cool completely. Once cooled, pour into a glass bottle and refrigerate. The syrup will last for several weeks. Add gin, lemon juice, raspberry syrup, rose water and egg white to a shaker. Dry shake to fully incorporate the egg. Add ice to the shaker and shake vigorously for 20-30 seconds. 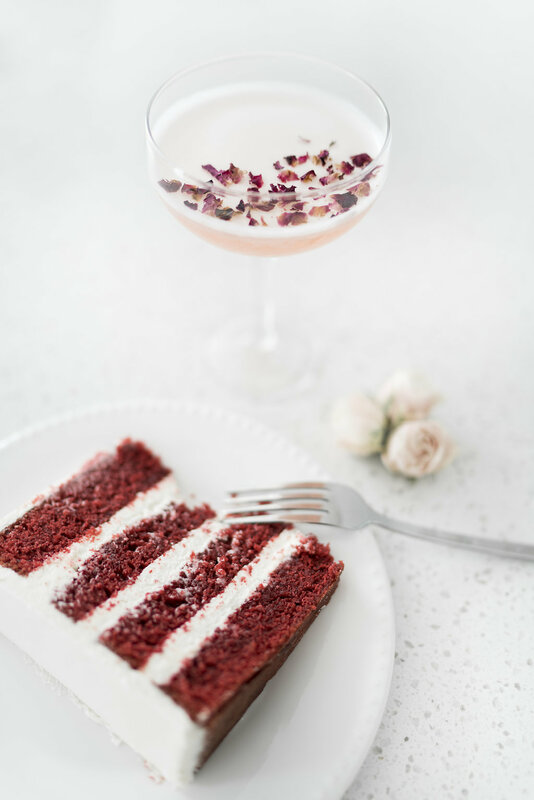 Strain into a coupe, garnish with dried rose petals and enjoy!